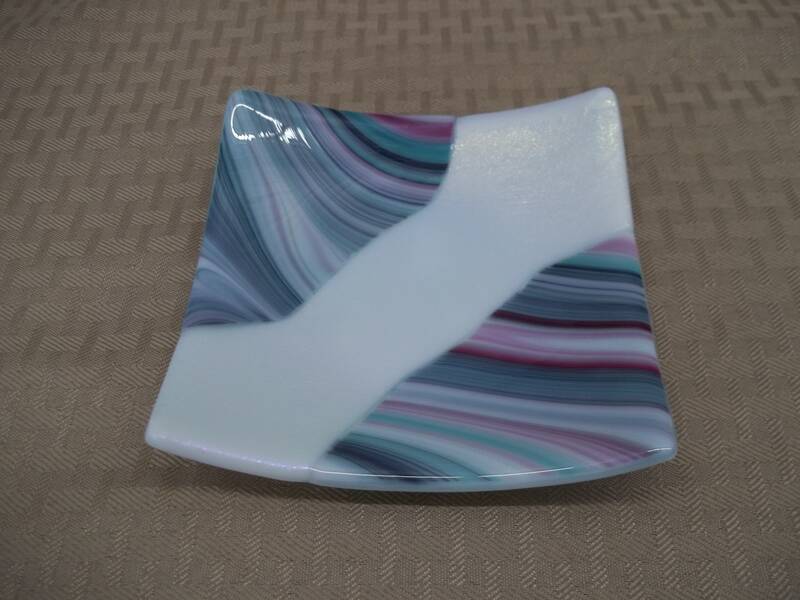 This beautiful handcrafted 5" x 5" dish is perfect for serving candies and small treats. 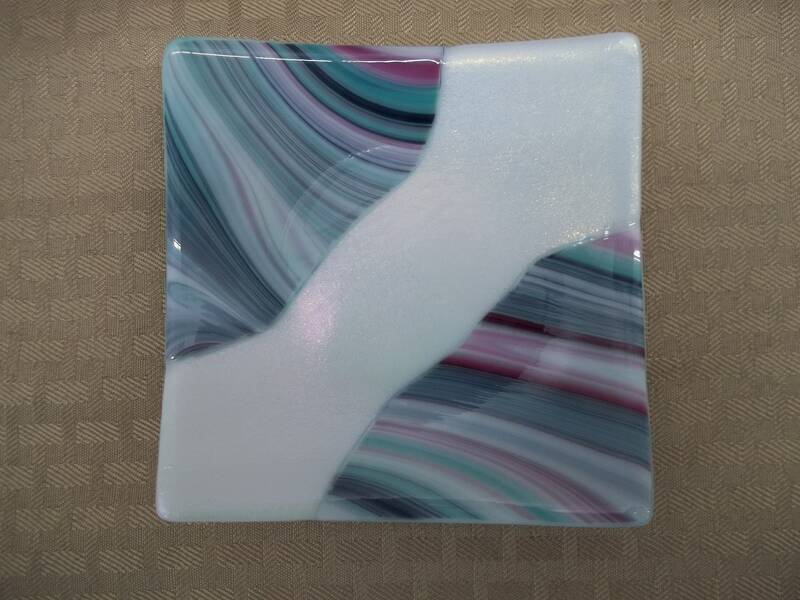 It can also be used as a pillar candle holder or displayed as a piece of art. 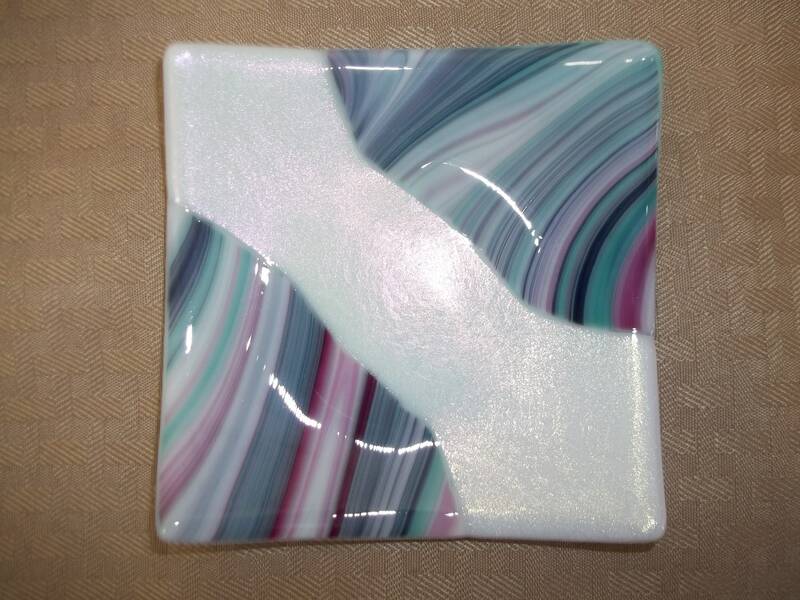 The center is white iridescent glass which has a prism of pastel colors.